Seafood along coastal states are nothing new but the Hock Chiews have their own brand of preparation, most notably with their signature clever manipulations of pungent flavours to bring out the best sweetness of everyday produce. 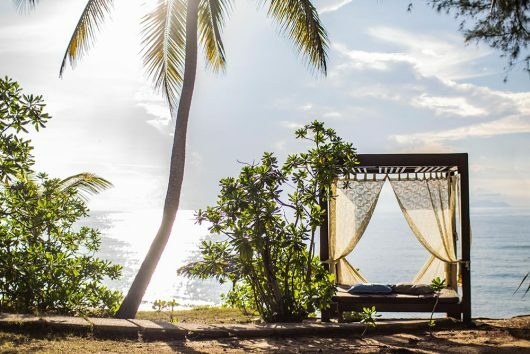 Malacca has long been the undisputed stronghold of Kristang cuisine and over up North on the East Coast, no cuisine proves more popular than Malay kampung fare. 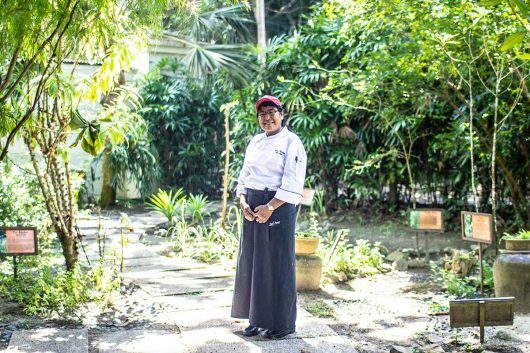 Somewhere in the middle in the quiet West coast seaside villages of Pangkor, Perak, the Hock Chiews have long been cooking up their own brand of generational comfort food, using the best of what is available to them – from land and from sea. Case in point: Their red wine mee sua. 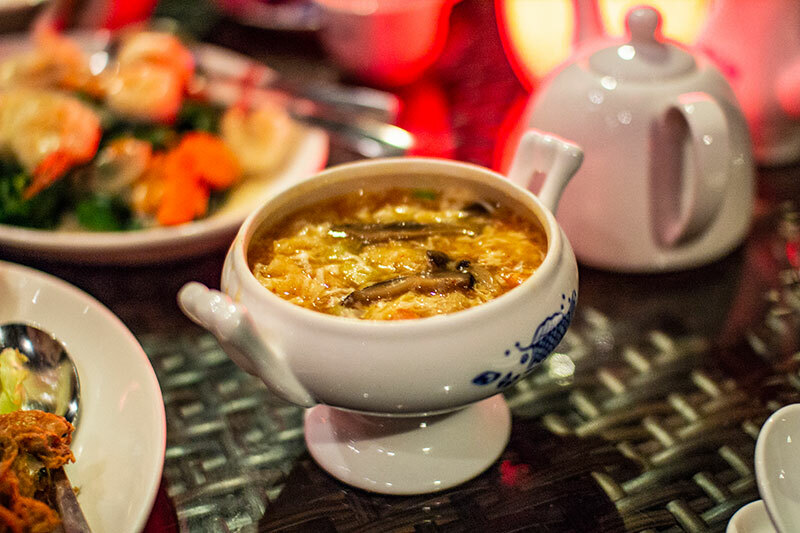 The mere thought of the silky smooth rice noodle (or mee sua) slow-cooked red rice wine broth typically in claypot warms the stomach ahead of one’s first sip. There’s a reason. 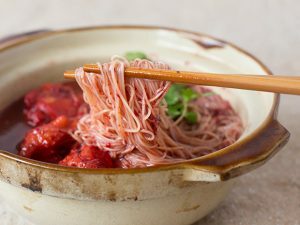 The use of red wine and ginger, typically ingredients considered “heaty” in Chinese cooking, is meant to warm the body to get blood circulation going and expel wind. It’s a favourite for women undergoing confinement after giving birth, and also popular among fishermen back in the day who have just returned from a long day at sea facing bone-chilling ocean winds. 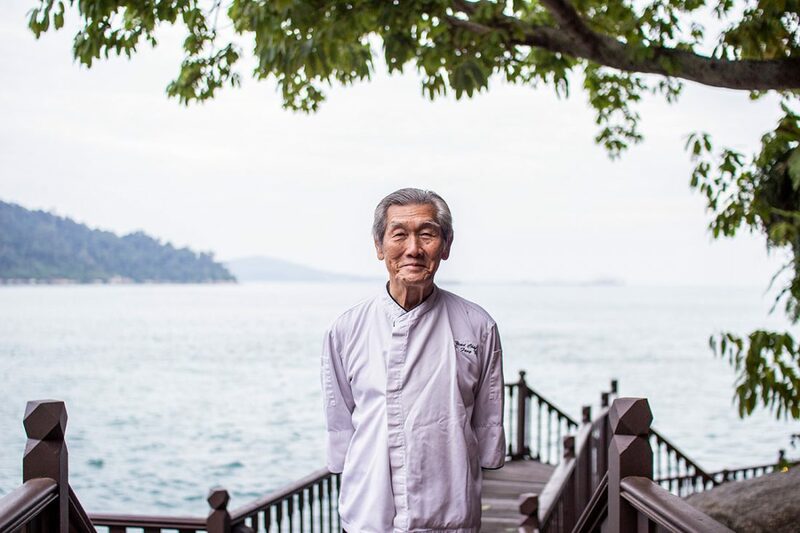 “We love pork so traditionally it’s made with pork but since chicken and seafood is more easily available, we’ve tweaked the recipe to support that,” tells Chef Lim Fong Tan, head chef of Uncle Lim’s Kitchen, after whom the homely Chinese restaurant at Pangkor Laut Resort is named. 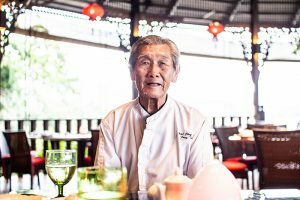 He’s been the head chef there from when the resort first open, and before that, preparing Hock Chiew cuisine for over 20 years, learning the secrets and craft of local Pangkorians. 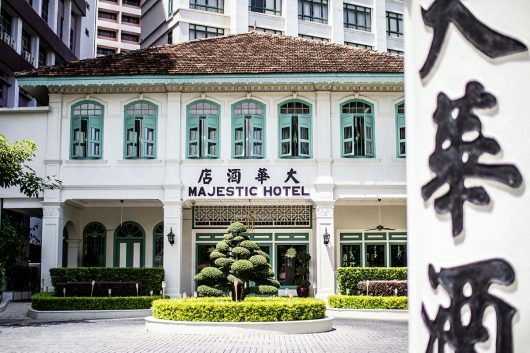 Today, he serves it up for all to taste at the resort alongside a medley of Peranakan food. A chat with him proved what we already suspected – the local cuisine of Perak is simple and that of the Hock Chiew community, even simpler.  The focus is put on the freshness of the seafood and produce thanks to their accessibility to fresh catch which comes in daily by boat. But simple doesn’t mean simpleton in this case. It just means respect for the favours of nature, and an innovative spirit to make the most out of them. At Uncle Lim’s Kitchen, we got to sample exactly this. 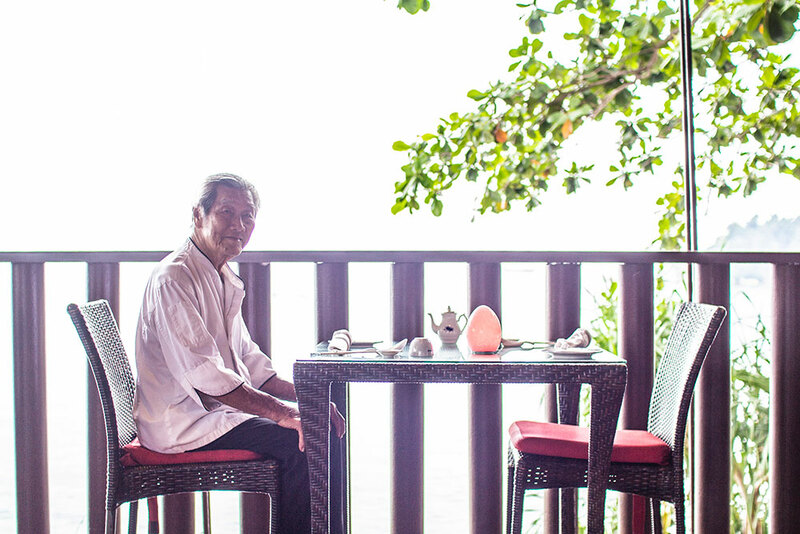 Aside from the red wine mee sua, also popular is one piquant fish maw and egg soup done in the typical local Pangkor style where vinegar is used in ample generosity. It is hearty as it is thick, with a nice chew to its texture with each mouthful thanks to an egg beaten into the body. It is sweet with the exploding flavours of the sea, lifted with a sharp slight tanginess thanks to the what is unmistakably Chinese rice vinegar. 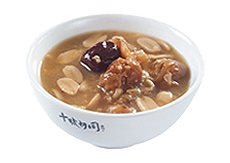 For dessert, it doesn’t get more Hock Chiew than a nice sweet peanut soup double-boiled with longan and red dates. 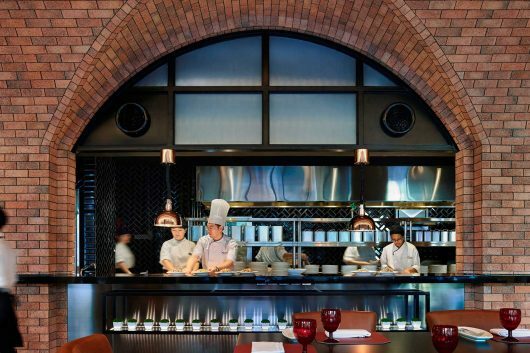 If you’re familiar with Chinese cooking, they are all “cooling” ingredients, specifically chosen to counter all the heatiness of the ingredients in the mains. Again it is a medley of simple ingredients but elevated for complex flavours through knowledge of taste and a small dash of daring ingenuity. “Hock Chiews are simple people, we used to eat whatever we catch and plant because we are farmers and fishermen,” Uncle Lim elaborates. 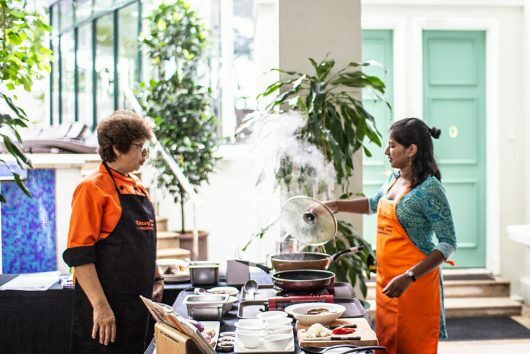 The ingredients of t he food of the Hock Chiew may be simple, but its final product is far from that, presenting flavours that are among the most complex thanks to recipe that have been given even more thought across generations. 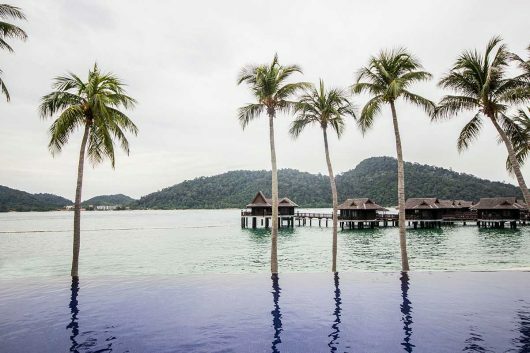 Learn more about Pangkor Laut Resort at the official website here.